The St. Nicholas shrine, meant as a salve for the faithful and a welcoming space for those wishing to reflect, was inspired by two Byzantine shrines in Istanbul, the Hagia Sophia and the Church of the Holy Savior in Chora. The building was to be sheathed in marble from quarries north of Athens, the vein of marble used to build the Parthenon. 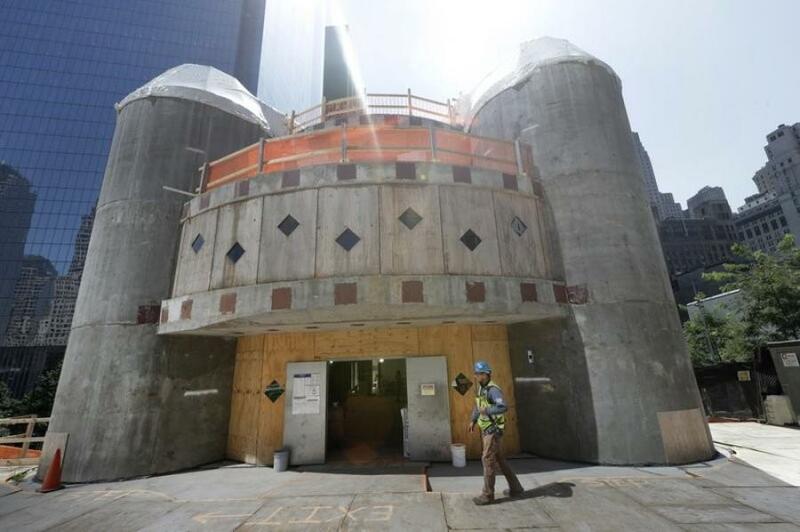 NEW YORK (AP) — Construction on a Greek Orthodox church to replace one that was crushed in the Sept. 11 attacks has been temporarily suspended amid rising costs and questions over how donations have been managed. The St. Nicholas National Shrine next to the World Trade Center memorial plaza was to replace a tiny church obliterated when the trade center's south tower fell in 2001. The new building was designed by renowned architect Santiago Calatrava, who created the soaring white bird-like mall and transit hub nearby called the Oculus. But unlike the transit hub, built largely with federal transportation dollars, the church is being funded through donations including from the Greek government, Greek Orthodox church members around the world, the Roman Catholic Archdiocese of Boston and the Italian city of Bari, whose patron saint is St. Nicholas. In September, the estimated cost was $50 million. But according to The New York Times , which first reported the work suspension, the cost had jumped to an estimated $72 million to $78 million as of Dec. 2017. Two firms, PricewaterhouseCoopers and BakerHostetler, were hired to perform an independent investigation into the construction, according to a Dec. 9 statement posted on the website of the Greek Orthodox Archdiocese of America. The stoppage was ordered by the construction company on the project, Skanska USA, the statement said. “The archdiocese is confidently hopeful that construction will recommence in the very near future and has been assured by Skanska ... that they are looking forward to the rescinding of this temporary suspension to continue working together in cooperation with the archdiocese for the completion of the building project,” the statement read. The Greek Orthodox archdiocese, based in New York, represents more than 500 parishes across the country with more than 1.5 million members of the church and 800 priests. It reported last fall it was suffering from a “severe and complex” financial deficit. Skanska, part of Stockholm-based Skanska AB, said it had extended payment deadlines and discussed alternatives with the archdiocese to try to keep the project going but ultimately had to halt construction. The original St. Nicholas was far more modest. The building housed a tavern when Greek immigrants bought it in 1919 to use as a church. It was the only building not part of the trade center complex that was demolished after hijackers flew commercial jets into the towers.